Please thank your legislator for raising the minimum wage. 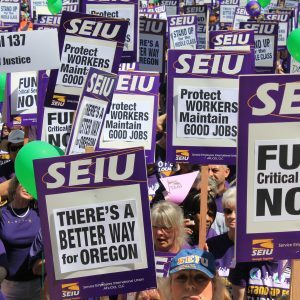 On February 18, legislators passed SB 1532, making Oregon’s statewide minimum wage the highest in the country. 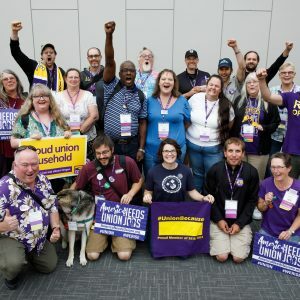 While it may not be exactly the plan many SEIU 503 members would like to see passed, this is a meaningful raise for hundreds of thousands of working people in Oregon. As we wait for Governor Kate Brown to sign the bill, it’s worth taking a closer look at what the new law will do. The most significant feature of SB 1532 is its regional approach to setting the minimum wage. The bill will create three wage floors, based on geography. The Portland Urban Growth Boundary (UGB) line, unlike the Portland city limit, encompasses roughly 2.2 million people, or approximately 43.7 percent of the state’s population. About 48 percent of all jobs affected by SB 1532 fall within the tri-county area. This bill gives the largest concentration of low-wage workers the biggest raise. Approximately 42 percent of the impacted low-wage jobs are located in the nonrural counties where the new minimum wage will be $13.50. The lower wage set for rural counties falls short of what workers need to be self sufficient. There are valid concerns about the impact higher wages could have on rural economies. However, these concerns should be addressed by measures that don’t come at the expense of workers’ wages. Approximately 10 percent of affected jobs are located in rural counties. SB 1532 will give every person earning minimum wage in Oregon a 50 cent raise this summer. That’s $1050 per year if you work full time. 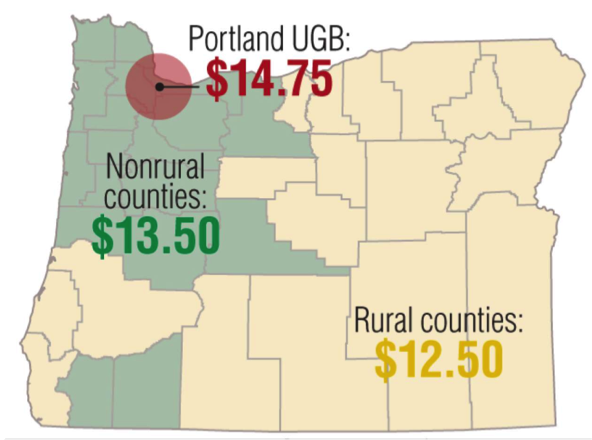 People working in the Portland UGB will see their wages go up by $2.00 in less than 2 years. However, it’s important to acknowledge that SB 1532 will not fully phase in for six years. There’s little question that this long phase-in will take a toll on working moms and dads. Finally, SB 1532 covers every person working in Oregon. Wealthy special interests did their best to carve out farmworkers, tipped workers and teenagers. They also sought to separate workers by the size of the business where they are employed. SB 1532 covers all workers, no exceptions. As union members, we know that raising the wage isn’t a silver bullet, but it is an important step in lifting working people out of poverty. 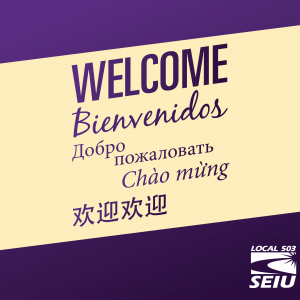 We still face steep challenges that we need to tackle to level the playing field—including ending wage theft and stopping profiling once and for all. But if this minimum wage victory has shown us anything it’s that, in union, we can work together successfully to ensure every Oregonian has a fair shot to get ahead.